When the season turns to Thanksgiving, we often think of the first Pilgrims arriving on these shores aboard the Mayflower. And lately at NEHGS, when we think about the Mayflower, we think specifically of the Mayflower Descendant, of which NEHGS will be the steward for the next ten years. Christopher C. Child, Senior Genealogist of the Newbury Street Press at NEHGS, is the new editor, and busily at work on the first issue, due to mail to subscribers in January 2016. The first Descendant was published in 1899 by George Ernest Bowman, under the auspices of the Massachusetts Society of Mayflower Descendants, which continued to publish it until recently. Child offers a roundup of Mayflower-related genealogy published elsewhere in 2014. We’re looking forward to this first issue and to carrying on the tradition of high scholarly standards established by the Massachusetts Society of Mayflower Descendants. The Descendant will be published twice a year and is available by subscription. My ancestor came over on the Increase some time after the Mayflower. I have never been able to find anything more than that. Is there any information on this ship or passengers that you’re aware of? 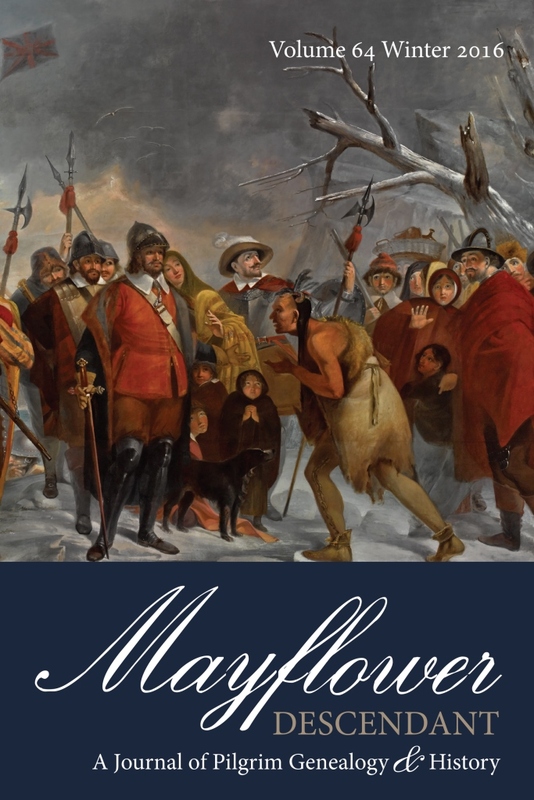 I receive my Mayflower Quarterly because I am a descendant and have membership in Colorado Mayflower Descendants Society. Do I need to make any adjustment so continue receiving the publication. I am also a member of NEGS. Jim, you raise a good question. The Mayflower Descendant and the Mayflower Quarterly are actually two different periodicals published by two different organizations. Information on the Descendant can be found here: http://shop.americanancestors.org/products/2016-mayflower-descendant-subscription. 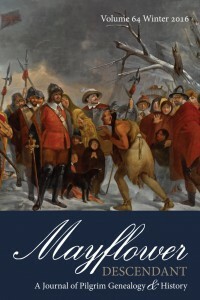 Information on the Quarterly can be found here: https://www.themayflowersociety.org/mayflower-quarterly. I’m in my 4th decade of genealogical research, second year on my Mayflower research. Is there on-line access to prior articles? Volumes 1 through 59 are searchable (and just readable, too) online as a Society database. Look under Search, Advanced Search, Journals and Periodicals, Mayflower Descendant.